This beautiful serigraph features one of the most famous and challenging holes in all of golf. 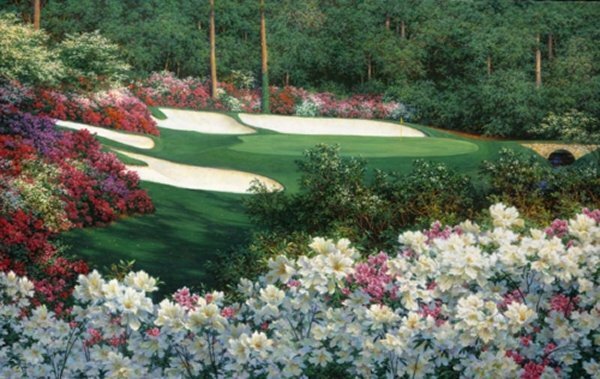 The flowers surrounding the green on Augusta's 13th are incredible and the hole itself is incredibly difficult. Coming at the end of the "amen corner", it has played an important role in many Master's tournements. The serigraph is an attractive 24.75" x 45" and is the perfect size to hang over a credenza - a wonderful way to keep the quiet beauty of golf with you all day long.